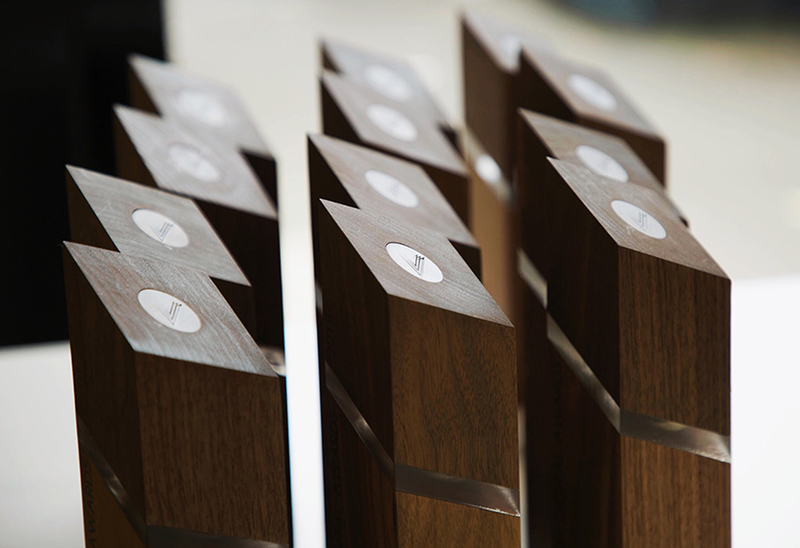 Plymouth College of Art’s in-house design studio The Agency were approached by Helm Squared to design and manufacture awards for the very first South West Digital Awards. FabLab Plymouth manufactured the final design created by Kevin Jenkins, BA (Hons) Product Design & Innovation programme leader. A chance to highlight, reward and encourage digital innovation in the region, the inaugural South West Digital Awards took place on 27 September 2018 at Plymouth School of Creative Arts, with 200 guests in attendance. Helm Squared briefed The Agency to create stylish awards to give to the winners of each category, ranging from App of the Year to New Startup of the Year. The first stage of creating the awards began with a pencil sketch from the client, that included an outline of the required dimensions. Kamal Gohil, Account Manager at The Agency, enlisted the college’s expert team at Fab Lab Plymouth and Kevin Jenkins, BA (Hons) Product Design & Innovation programme leader, was called in to transform the sketch into a CAD design. He continued, “Our Fab Lab includes high-tech 2D and 3D digital equipment that can be found in the best labs across the world. Each award has an internal LED so that they can be lit up. The original design used more than one LED to get the effect that the client wanted, but we were able to refine the design so that only one was needed. We then used an Ultimaker FDM printer to 3D print the internal workings for each award.